Bayern Munich goalkeeper Manuel Neuer has his sights set on being fit in time for this summer's FIFA World Cup, however, should the colossal custodian fail to make it in time for the finals in Russia, Germany legend Sepp Maier believes Sven Ulreich should fill in. It is a bold claim from the man who made almost 600 appearances for Bayern and who won a World Cup and European Championship with Germany. Yet the 73-year-old's premise is based upon the fact that Ulreich has been performing admirably behind a set of defenders who will make up Germany's defence in June. Watch: Check out some of Sven Ulreich's top stops! "If Neuer doesn't make it to the World Cup, I think [coach] Jogi Löw has to rely on Sven Ulreich," Maier said in an interview with Sport Bild. "He knows the defence with Hummels, Boateng, Kimmich and Süle perfectly from the club. 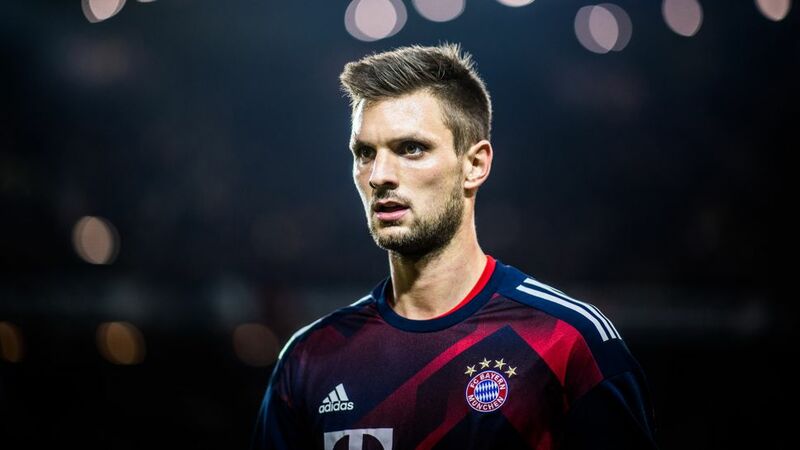 Ulreich would be a good solution," the five-time Bundesliga winner added. Neuer has featured in just three Bundesliga games this season, the last of which came in a 4-0 win at Mainz on 16 September. Absent since then with a hairline fracture in his foot - the second such injury he suffered in six months - the 31-year-old has been working hard to play a part in Bayern's championship run-in, even visiting Thailand as part of his rehabilitation. According to triple European Cup winner Maier, Neuer would ideally need to play, "the last six or seven games" of the current campaign in order to, "be in top form in Russia," for the World Cup. When previously asked about Ulreich travelling to the finals as part of Joachim Löw's squad, the former Schalke man said, "It can't be ruled out, and I think it would be great." Sven Ulreich has never won a senior international cap, while his most recent appearance for his country came in a series of Under 21 games in 2009. He has kept seven clean sheets in 18 Bundesliga games and featured in 29 across all competitions as Neuer's understudy this season. He was also voted Bayern's player of the month on two occasions as the Bavarian giants chase down a domestic and European treble this term.